Nick Pauldine is a Cortland County native and attended Homer Central Schools. He received his BM in Music Education from Ithaca College, and his MA in Conducting from George Mason University in Fairfax, VA.
After a short time of public school teaching in Cortland and Tompkins counties, Nick took a position as a Musician Supervisor and Bandleader in the vacation entertainment industry, where he directed an 11-piece show band six nights a week in a wide variety of different musical settings. In 1997, Nick returned to Ithaca and accepted a position with a destination marketing company called Cariba!, and later worked as Sales Manager for the Tompkins County Convention and Visitors Bureau. At this time, Nick also took over as Musical Director for the Ageless Jazz Band in Ithaca, NY, an 18-piece big band made up of adult members from the greater Ithaca community and dedicated to the preservation and performance of traditional and contemporary big band and swing dance music. In this capacity he has led the group on 18 tours to the Caribbean island of Aruba where the band performed at numerous world-class resorts and hotels. 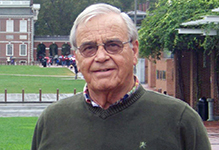 He has also overseen the production of two CD recordings, and commissioned a composition for the band titled Catch Phrase, by Steve Brown. Nick has performed on tour with the Sammy Kaye Orchestra, Guy Lombardo orchestra, performed with Diane Schuur, Nell Carter, Ann Hampton Callaway, John Pizzarelli, and many other artists. In addition to performing with the Ageless Jazz Band, Nick serves as Musical Director for the Ti-Ahwaga Performing Arts Center in Owego, NY, and performs regularly with Jeff Dovi’s JazzHappensBand in Cortland NY, Joe Cavallaro’s Dixieland Band in Elmira, NY, the Scott Freeman Band, and the Revival Horns from Binghamton, NY, as well as being involved in other contracted, professional music work. Nick is thrilled to get back to his roots with the Cortland Old Timers Band, as that was where he honed his clarinet playing skills as a youth. As Principal Conductor, he is looking forward to carrying on the traditions of this historic ensemble. Nick currently resides in Ithaca, NY, with his wife, Kerry, son Riley, and daughter Isabella. He is an avid golfer and volunteer coach for the Ithaca Youth Hockey Association. 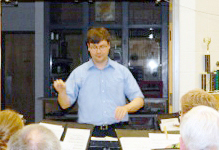 Mike is the Associate Conductor and a trombonist in the Cortland Old Timers Band. 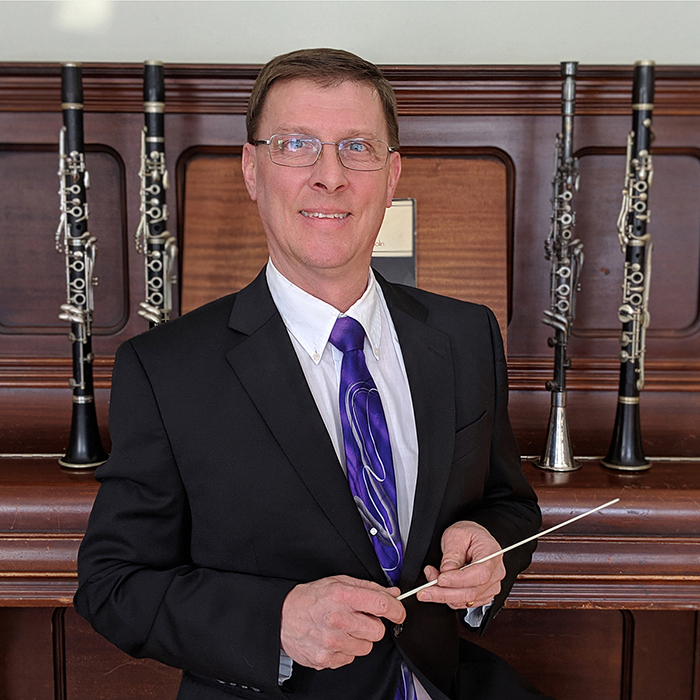 He received his Bachelor’s degree in music education from the Crane School of Music at SUNY Potsdam, and has studied music theory at the University of Buffalo. He performs in numerous other classical and jazz ensembles across central New York. Mr. Poole directs the resident brass ensemble in Cortland’s St. Mary’s Church, and is a founding member of two other local performing groups - the JazzHappensBand and the Crown City Brass. He is also a prolific music arranger, transcribing and arranging music for the ensembles in which he performs. *ATTENTION PAST MEMBERS - As we say...."Once an 'Old Timer'....ALWAYS an 'Old Timer'!" Please feel welcome to come back and play some music with us! The Cortland Old Timers Band is an equal-opportunity organization. We do not discriminate on the basis of race, creed, color, gender, national origin, religion, marital status, age, disability, or sexual orientation. This nondiscrimination policy applies to the eligibility for membership and all benefits entitled by membership in the organization. For those wishing to support the band, please also note that we are now a 501(c)3 organization, and therefore any donations made to the band are tax-deductible.